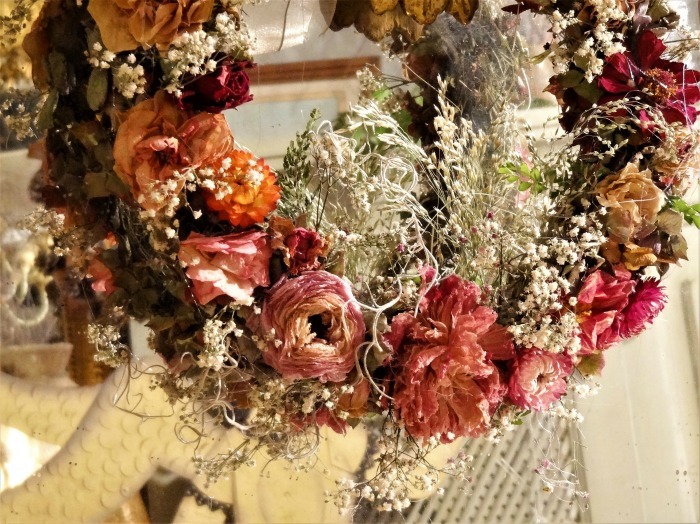 If you love the look of dried flowers in your home, don’t buy them. It is easy to preserve flowers yourself with two common household ingredients: Borax and Cornmeal. One of the true joys of gardening is having so many flowers in my garden. I sometimes cut them to bring indoors, and also like to dry them for flower arrangements and other crafts. 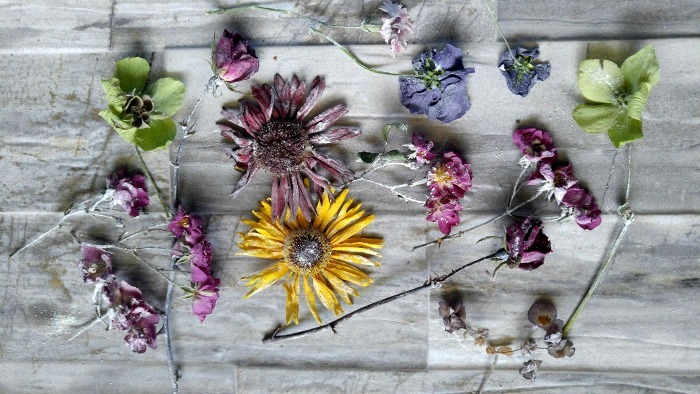 Dried flowers can be used in all sorts of ways in craft and decor projects. Getting them dry and keeping the color gives you the best looking results. This method of drying flowers does just that. Borax has dozen of uses in the home. It is great for laundry and cleaning, of course, but can also be used in many other ways. I’ve even tested Borax as an ant killer with great success! The 20 Mule Team product makes a great weed killer for Creeping Charlie, too. But for today’s purposes, I will be using it to preserve flowers. 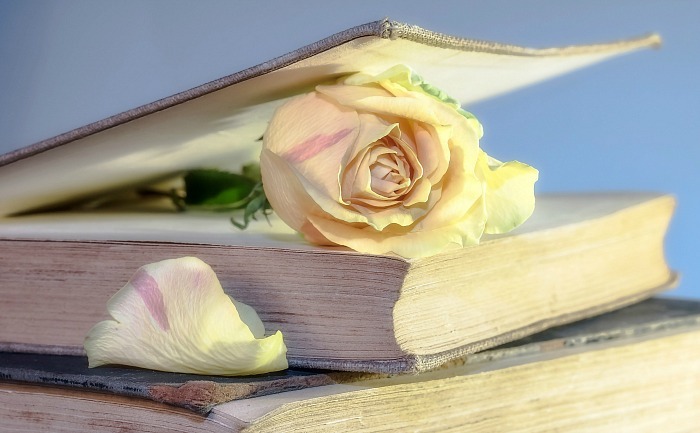 Remember placing a flower from a prom date or other special occasion in a closed book to dry it? The only problem with this is that the flower gets flattened. Instead of this, we will use Borax to preserve flowers, so that they can be used later for making craft projects, door wreaths, or just displaying in the home. 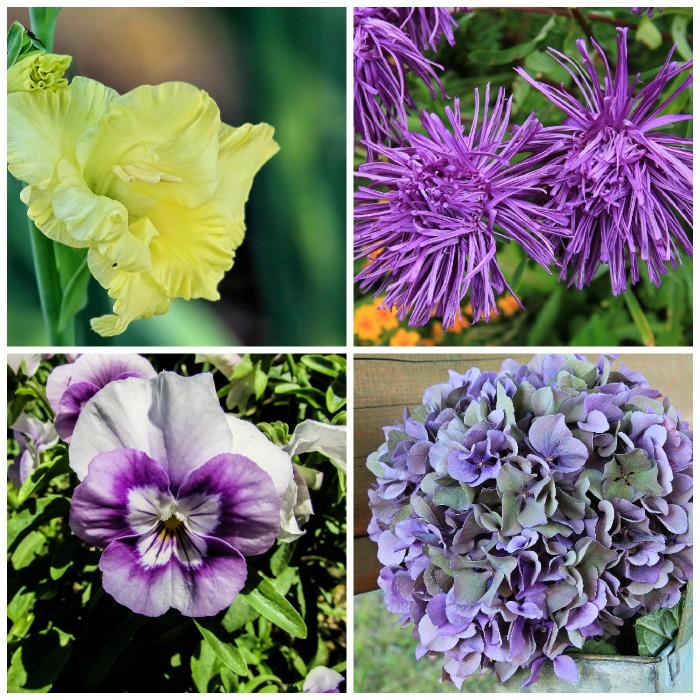 It’s time to preserve flowers with Borax! Have you ever found those little packets of silica gel in boxes? They keep moisture out of whatever they are packed with. Borax acts in a similar way. It acts as a desiccant, slowing removing the moisture from the petals of flowers but allowing them to retain their natural shape and color. You can also preserve only the heads of flowers, in which case you would cut the stem just below the flower head. (great for pot pourri!) TIP: The fresher the flower is, the better it will preserve, so cut them from your garden just before you start. Cut dry plants. Wet plants after a rain are harder to handle and will easily be damaged. Place the flowers in plastic bags in a shady spot, not in water. If you use flowers from a florist, give them a fresh cut and allow them to soak in water for 20 minutes or so and then put them into bags. This will help to remove any preservatives the florist may have added. 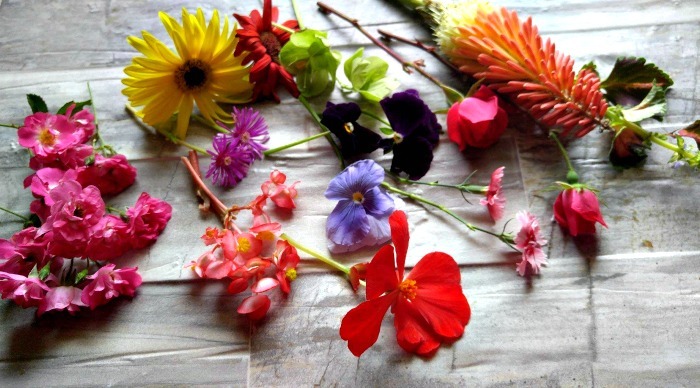 There are a few ways to preserve flowers with Borax. 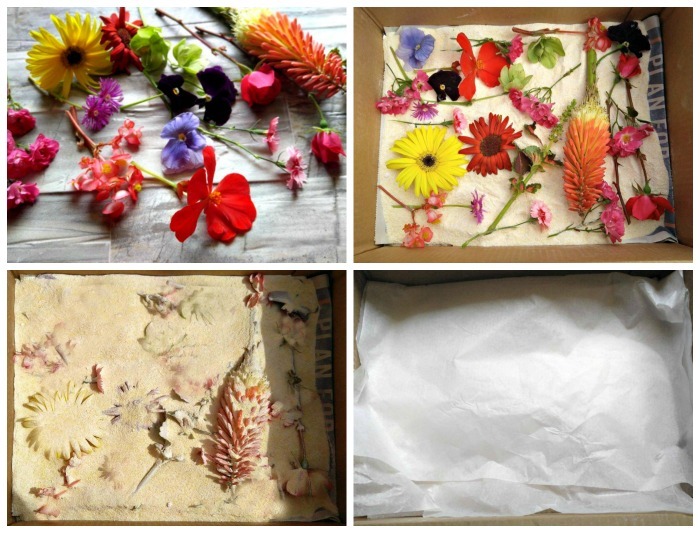 There are several ways to preserve flowers with Borax. You can lay them sideways in the box, or place the faces of the flowers into the mixture. You can Iayer newspaper in the box and poke holes in the bottom of it and insert just the flower heads with the stems hanging below. I placed some on mine sideways i the box and others had just the flower heads facing up. I’ll use those for potpourri and crafts. 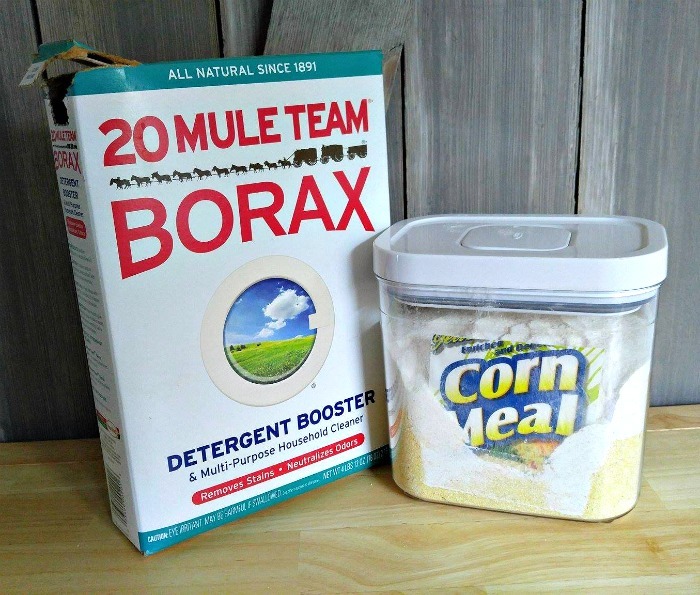 The Borax and cornmeal is placed in a layer on the bottom of the box over newspaper. Once the flowers are placed in the box, sprinkle the Borax/cornmeal mixture over the flowers. Be sure the flower heads are completely but only lightly covered. Keep adding the mixture until they are all covered. My illustration shows some of the flowers only partly covered. For the last step, add a layer of tissue paper, close the box with a lid or cover and be patient. Check in about a week to see how they are doing. The flowers can take from 1-3 weeks to dry. To test them, gently pinch a petal. If the petal still feels cool to the touch and moist, it needs more drying time. If it feels dry, also test to see how dry the calyx is (the leafy part of the back of the flowers.) If this is dry, you will know that the procedure is finished. The smaller the flower, the quicker the drying time will be. Tightly petaled flowers, like rose buds can take quite a bit longer to dry. I had best luck with the roses but the colors of the others was preserved well too. 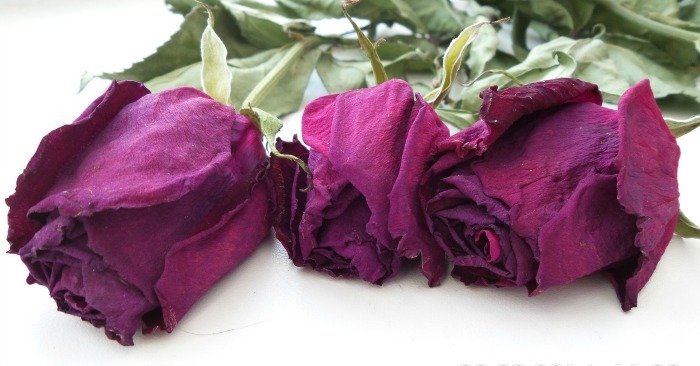 Once the flowers have completely dried, carefully remove them from the mixture. Gently brush away, or blow away the mixture that still clings to the petals. The flowers can be used in some many ways for home decorations. I especially love to use them in my centerpiece box for my dining room table as well as for door wreaths. The left over Borax mixture can be reused at another time. If it is still damp, place it on a piece of parchment paper on a baking sheets and place in in a 150º F oven for 30 minutes to dry. Have you ever tried to dry flowers? How did your project go? Can it do without cornmeal? Can I use ground rice? Jill, I understand you can substitute oatmeal for the cornmeal. Have not seen any reference to ground rice. I have a question about drying out the mixture in the oven. My electric oven only goes as low as 170 degrees F. How long would I dry it at that temperature? How long would the preserved flowers will last?? Thanks for sharing. Have never tried this method before. I have tried using silica gel crystals before and my flowers are well dried within a couple of days. Might give this new method a try. How come some of my flowers are growing mold??? I have used this method and it works rather well. 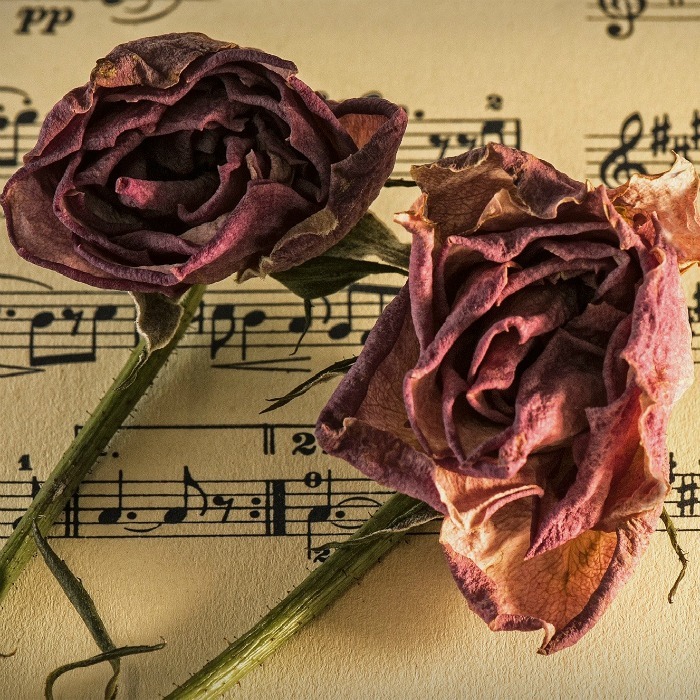 I have flowers that still have the dust on them…I am affraid to try and blow it off. What would you suggest? I make jewelry and need to get as much off as possible. How long would the flowers last if I put them in a shadow box?? Does it matter if it’s yellow cornmeal? Hi Amy, I think any type of cornmeal will do. The finer it is the better. Hi Kristen. Mine kept their color well.